The Ten Commandments, Part II – The Gates Open Through a Tiny Word. In the first installment in this series of articles on the Ten commandments, we established that they were linked with Keter, the highest sefira (Dimension) of all 10 dimensions of the Tree-o-life, and that beginning with the encoding in its first 3 words, “I am God, your Lord” they further link our generation to the 3rd opportunity to receive the Tree-of-life reality in the next few years. As for the 2nd time that cosmic window opened, it was 66.6 jubilee years ago, when G-d chose to recite the 10 Utterances. The first time occurred a total of 115.6 jubilees years ago. To understand that you must be able to think of time as fluid and space as collapsible, and reality as we know it as an illusion. In other words, you must be able to perceive the tree-of-life reality that was offered to our ancestors back in 2448 HC, 49 jubilee years after Creation . In the 20th chapter and 54th Paragraph of Exodus (Shmot/Names), 600,000 Israelites and 4 times as many erev rav (known as the the people) stood poised at Mt Sinai. This was after the Zohar tells us Moses received the 173 Keys to Heaven (the 42-letter Name); after the rectification of the 10 sefirot of the Tree-of-life through the 10 plague, as explained by the Arizal; after the tools of the 42-Letter Name (Mem-Bet) and the 72 Names (Ayin-Bet) were given to Moses and the Israelites when they cried out to G-d; after they split of the Red (endless) Sea; and after they completed the cleansing process through the appreciation, tshuva, and tools embedded in the “Song of the Sea,” the Israelites were ready to receive the 10 Utterances directly from G-d, thus completing their ascension to Keter. That was the plan. The 10 Utterances are found at chapter 20 in parsha Yitro of Shmot (Exodus) and the letter Yud (Y) of numerical value 10 is a direct substitute for the number 10 in the 10 Utterances (Commandments). Moreover, the letter Yud (YVD) when spelled out has the numerical value 20, the same as the chapter the 10 Utterances are found in. This is significant because the number 20, esrim, has the numerical value of 620, that of Keter, the crowning, hightest sefira (dimension). Moreover,Yitro (YTRV), Moses’ father-in-law, not only begins with the letter Yud–actually the only one of the 54 Torah portions to begin with Yud–but it has the gematria value of 616, the same as H’Torah (the Torah). 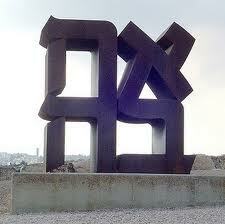 And when we add the kolel of the 4 letters we get 616 +4 = 620, or Keter once again. And that’s just the start. That there are 9 verses spanning paragraphs 54 to 62 of Shmot (Exodus) is no coincidence. Readers of this blog know by now the formulas of the sum of positive integers through 107 = 5778; and 54 x 107 = 5778, the year the tzaddikim prophesied for the arrival of Moshiach and the geula (final redemption); and also that the surface temperature (radiance) of the Sun, representing the King and Zeir Anpin, is 5778 K, while its core temperature is 156 million K, with 156 being the gematria value of Joseph, representing Yesod of Zeir Anpin. But what hasn’t been revealed yet is that the numerical value 54 is found 156 times in the Torah and that the Name Dan (DN)–the initials that Abraham’s Sefer Yetzirah (The Book of Formation) says would lead to Mashiach–of numerical value 54, is found 26 times, corresponding to the value of the Tetragrammaton (YHVH). And consequently that 54 + 156 = 210, as in the 210 years of Exile in Egypt that just ended prior to the 10 Utterances. And as most students of Torah know that the Torah is divided in 54 parashot (portions), so this being paragraph 54, coupled with the value of Yitro’s name, is most probably a hint that the whole Torah is about to be received, not just a few commandments to behave civilly. The number 54 also has the distinction of being half of 108, the numerical value of the infamous golden calf. The reason that this connection is so significant will be revealed shortly. And since the number 107 is integrally associated with 5778, and thus the reception of Moshiach, that 108 is 1 beyond it, is significant as well. Nevertheless, for the moment it’s important to note that the first letter on the 10 Utterances is the 107007th letter in the Torah, or looked at another way, 107 x 1000 + 7 (representing Keter (1000) and the 7 sefirot of Zeir Anpin). And for its part, 62, as in the 62nd and final paragraph of the 10 Utterances, it is the key to understanding what is really going on in the section. For starters. there are 62 letter Yuds, of numerical value 10, within these 9 paragraphs. Now, the letter Yud (Y) is the first letter of the Tetragrammaton (YHVH) and is associated with the level of Chochma (wisdom), the 9th and 2nd highest sefira (dimension), and those 62 Yuds have a total numerical value of 620, that of keter (crown), the highest sefira, the place the Israelites had reached as G-d spoke to them. This also means the Yuds reprsent exactly 1/10th the letters in the 10 Commandments. But the icing on this keter cake is found in that there are 620 letters in these 9 short paragraphs. Moreover, the sum of the ordinal values of those 620 letters works out to 11 x 620 + 1 (kolel), making the 10 Commandments also representative of the full 11 sefirot, when the balancing or reservoir of knowledge sefira (dimension), Da’at, is included. And of the 10 Utterances, 8 really begin with the word Lo (LE), “don’t,” which is EL (G-d) backwards and these 8 words total 248, the value of Abraham, of mercy, and of the Earth’s reflected radiance back to the sun (248.5 K), but also 248 = 4 x 62. Obviously, this small 620 letter section of the Torah is quite special and unique. Let’s talk about this word Lo (LE), meaning “don’t, because it is so ubiquitous amongst the 172 (132+3) words and 13 verses of the 10 Commandments. It’s found a total of 13 times, connecting it to the concept of Oneness (Echad) and love (Ahava), whose Hebrew translations have the value 13. There seems to be a pattern developing as the numerical value of Lo (LE) is 31, or 13 reversed, its ordinal value is, well, 13. Now in verse Exodus 20:6, where it says, “I show love for thousands of generations,” the words for love and thousands both contain the prefix Lamed, making both words actually begin with LE: (LEHBY, L’ahavi and LELPYM, L’alaphim). This phrase Chesed L’alaphim is actually at the heart of the 13 attributes of G0d and both the Zohar and the Arizal translate it to G-d will show mercy for 2000 years, as we’ve previously written about. With these 2 additional Lo (LE) and 3 others that are concealed at the beginning of various words in these 13 verses we have a total of 18, which is universally knows as the value of Chai (life). Now, the sages tell us that the final letters point towards the future and in summing up the gematria of the final letters in 18 words that Lo (LE) appears within the 10 Commandments we get a total of 2028, which is significant because we know that 2018 CE (or 2028 – 10 (kolel for 10 Commandments) is the prophesied year 5778 HC. And also because 2028 breaks down to 2000 + 18 + 10, reminding us of what the Arizal and the Zohar said about 2000 years amongst the 18 words of the 13 attributes. We can now more fully see the connection between the 13 pure Lo (LE) and 18 total Lo (LE) with the 18 words of the 13 attributes of G-d, in this the 20th Chapter of Exodus. And if we add the two other words in this 620 letter section of the Torah that begin and end with L and E respectively, (LShVE, lashav) then the full 20 concealed Lo (LE) total 20 x 31 or a perfect 620. 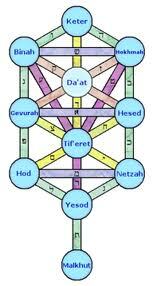 Everything in the Torah has a purpose, both a revealed purpose and then multiple layers of concealed ones. We can look at the 10 Commandments as moral compasses or we can look at them as gateways into the 10 dimensions of the Tree-of-life. For 66.6 jubilee years (3330 years) most of us have seen them as moral guides, it’s time to really accept them. 28 generations ago we were invited in and the people replied that G-d was too loud for them. 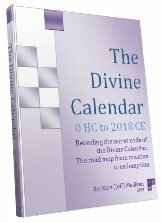 And by the way, in case we missed it, the 28 generations was the hidden meaning behind the reference to 2000 generations, which is one of the reasons why Rabbi Shimon Bar Yochai (author of the Zohar) and the Arizal recognized it as 2000 years, but, of course, they knew the Divine Calendar and knew when the 2000 years would begin and end. So just to wrap us this part of the series, we should note that when we add 1 for the kolel to the 172 words in this section, we get 173 words, which not only hints at the 42-Letter Name through its small gematria value of 173, which are incidentally the 173 keys given to Moses, but taking the letters of the section over the words gives us 620/173 = 3.58, and 358, as we know, is the numerical value of Moshiach, the messiah. This is what we can receive when we enter the 10 Commandments, instead of just follow them (very important too). 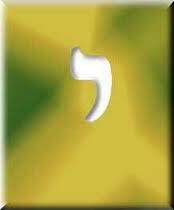 Lo (LE) is tied for being the shortest word in the Torah, but through this small doorway a vast universe awaits. 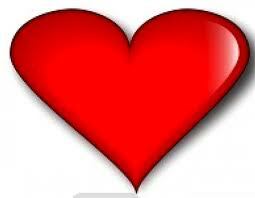 The Hebrew word for heart is very similar Lev (LB). Just because one translates into English as “don’t”, don’t let yourself be deceived by the illusion that one doesn’t stem from the other and LE is at the heart of Keter from where the love flows. And then to complete the picture, the 13 verses in this section further links it to the 13 times that words with a numerical value of 173 appear in the Torah. Every wire in this section is very much alive and burning bright. Let it burn bright in our hearts as well. Part III will continue shortly. 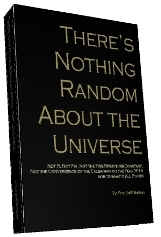 Author Jeffrey MeilikenPosted on January 26, 2011 Categories RevelationsTags 1/3, 10, 10 sefirot, 10 utterances, 107, 13 attributes, 156, 173, 173 keys, 18, 2-letter name, 20, 358, 42, 54, 5778, 5778 K, 616, 62, 620, 72, final redemption, gematria, geula, Joseph, keter, messiah, Moshiach, Sun, temperature of the earth, temperature of the Sun, Torah, Yitro2 Comments on The Ten Commandments, Part II – The Gates Open Through a Tiny Word.